Showcase Pianos had a dilemma and CBRE broker/Associate VP Martin Moriarty had a solution. The 10-year-old piano store had outgrown its location and with the lease expiring at the end of 2017, the search was on for a suitable space. It was a solution that would not only house a sizeable piano showroom, but a performance hall, multiple classrooms, and sales offices. A suitable space was found literally right down the street and Showcase Pianos moved one block west into the retail space previously occupied by the Sony Store at 1128 W. Broadway under the infamous Toys R Us/Bowmac Sign. 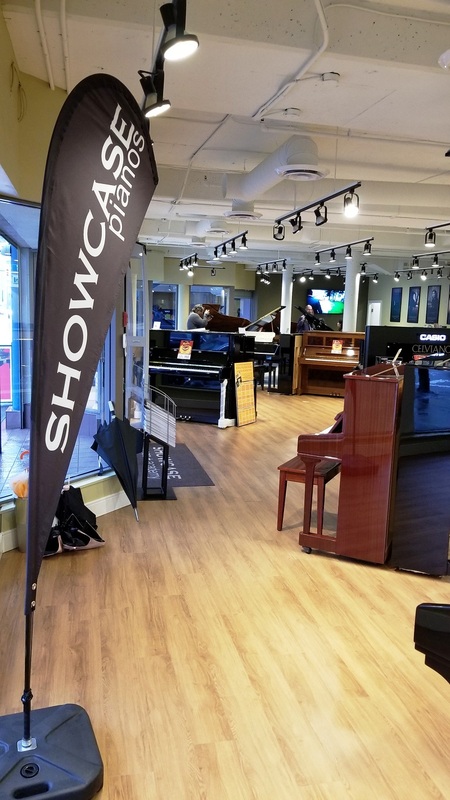 Showcase Pianos grew from 1,500-square-feet to over 4,300-square-feet and even at three times larger, every inch of the space is maximized. While Showcase Pianos is known as the official representative for high-quality instruments, such as C. Bechstein, W. Hoffmann, Seiler, Wm. Knabe, and Wm. Steinberg, it is the relationship of this relatively new business with Italy’s Fazioli Pianoforte that draws the most attention -- Showcase Pianos sells more of them than any place in the world. Owners, Manuel and Judy Bernaschek, cultivated the relationship with the Fazioli family in the early 2000’s after noticing that many of the world’s greatest pianists were leaving their chosen brands to play on Fazioli. A trip to Italy solidified a new ‘partnership’ and the Bernascheks and Showcase became the exclusive distributor of the brand in British Columbia. 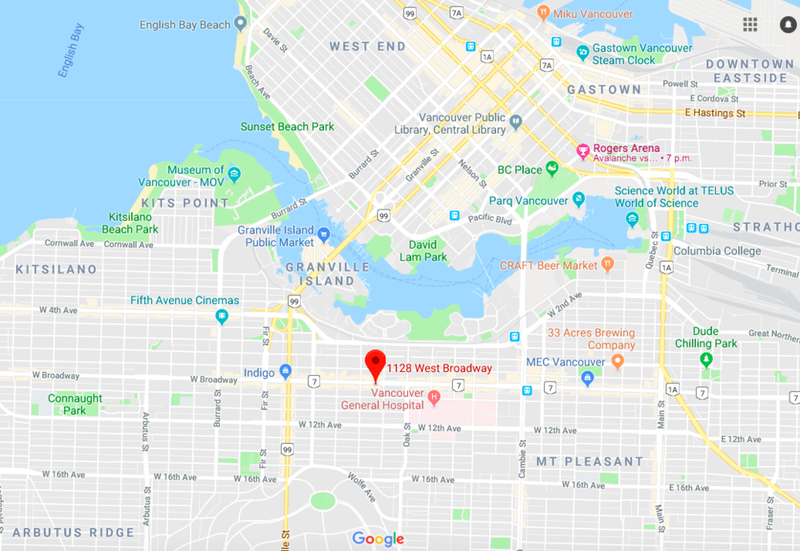 “We have sold over 100 Fazioli pianos in the Vancouver area in the last decade – which is not easy since they are the most costly pianos in the world!” says Bernaschek. Another sales hurdle is the production time with the standard black finish F156 (5’2”) to the F308 (10’3”) requiring 40 workers almost 2,000 man hours to produce and a delivery time of approximately three to four months. Change the finish and production time can stretch to a year. Canadian real estate developer Westbank Corporation is also a client, having ordered a series of customized pianos to augment the allure of their buildings. Canadian real estate developer Westbank Corporation is also a client, having ordered a series of customized pianos to augment the allure of their buildings. Working in conjunction Design Principal, Venelin Kokalov of Revery Architecture, the Butterfly piano was designed and created specifically for The Butterfly building which is under construction in downtown Vancouver near the corner of Burrard Street and Nelson Street. The price-tags of customized Fazioli have pushed pricing upwards of $900,000 and there is no evidence that the cost is a stumbling block to purchasers as Vancouver real estate development continues to cater to affluent buyers internationally. With the new location and over 370 students, Bernaschek has a goal to see the study-body surpass 500 in 2018, a figure that will positively impact Fazioli sales if Vancouver’s affluent parents continue investing in their children's musical futures.